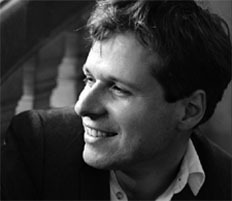 Christian Petersen received early piano instruction from Professor Andreas Meyer-Hermann in Frankfurt and later studied piano starting in 1994 with Professor Anatol Ugorski in Detmold. In 2000 he completed his Solo Piano Performance Degree (Konzertexamen) with distinction and has been teaching as a member of the faculty at the Hochschule für Musik in Detmold and the Hochschule für Künste in Bremen. He has gained additional artistic impetus through participation in master classes given by Leon Fleisher, Christian Zacharias, Alexis Weissenberg, Jürgen Uhde, Hans Leygraf, and Renate Kretschmar-Fischer. After winning the Richard Laugs Beethoven Competition and qualifying for a series of Young Artists Concerts of the German Music Competition for Soloists, he was invited to perform as a guest artist at such well-known venues as the Rheingau, Mecklenburg- Vorpommern, and Bodensee Music Festivals. He makes regular appearances as a concert soloist and chamber musician in Germany and abroad and his playing has been featured in numerous radio productions and live recordings.